We will always have trials to overcome, Macron said. French President Emmanuel Macron vowed Tuesday to rebuild Notre-Dame cathedral "within five years", after a fire that toppled the steeple of the 850-year-old landmark and caused major damage to the roof. 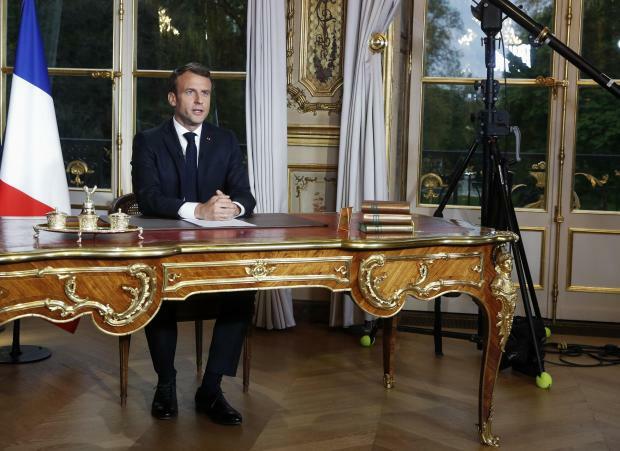 "We will rebuild the cathedral even more beautifully and I want it to be finished within five years," Macron said in a televised address to the nation a day after the blaze. "And we can do it." But he also warned: "Let us not fall into the trap of haste." "What we saw last night in Paris was our capacity to mobilise and to unite," the 41-year-old leader said in the solemn address from his office in the presidential palace. "Each time we rebuilt them," he said, adding that the cathedral inferno had shown that "our history never stops and that we will always have trials to overcome."